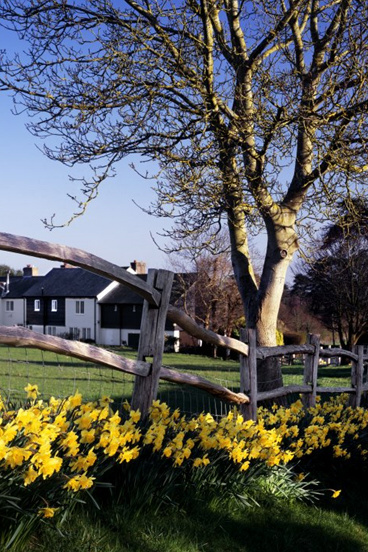 Here you will find information on one of the most beautiful villages in West Sussex, one with a lively and welcoming community. 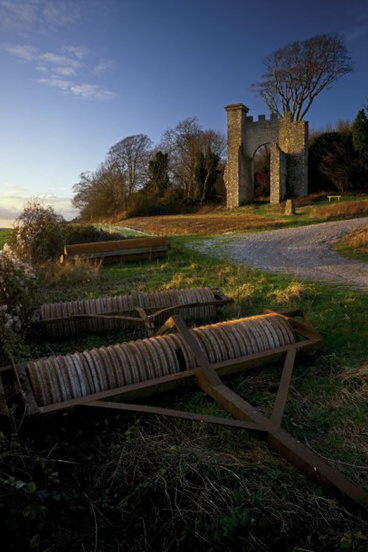 Nestling in the foothills of the South Downs, Slindon is charming and unspoilt, its brick and flint houses surrounded by beech woods, farms and open downland. Much of the landscape and many of the houses are in the care of the National Trust – helping to maintain a balance between tradition and practicality for visitors and residents alike. The population of Slindon is about 500, divided between homes both north and south of the A29. This is a place of history – from saints to smugglers, from Churches to a duck pond, from an Elizabethan mansion to an ancient cattle pound. It also boasts perhaps the best claim to be the birthplace of cricket – a memorial of bat, ball and wicket bears witness to this fact, as does a cricket club still playing after more than 250 years. Slindon is a haven for ramblers, dog walkers and horse riders; in the Spring, the bluebell woods are a joy to explore, whilst in the autumn people from all over the world come to see the famous pumpkin display. Whenever you come, there will always be plenty to enjoy. 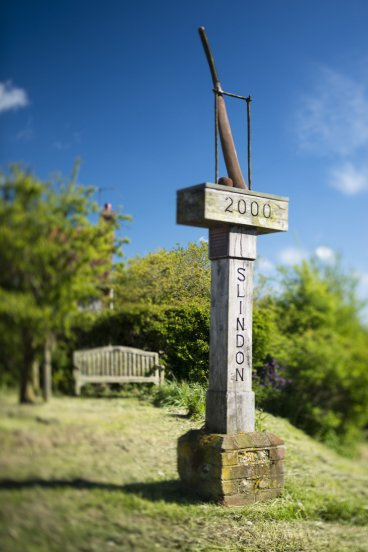 With 2,000 sunshine hours per annum, Slindon’s climate is amongst Britain’s best. Click for Weather Forecast. SlindonLife is constituted village group run by villagers for all villagers, we aim to act as a catalyst and conduit for all manner of activities. We are lucky to live in a vibrant and active community – the aim of SlindonLife is to make sure it stays that way. We help co-ordinate and initiate a varied programme of events, building on existing activities, and aiming to make sure there are things going on for everyone (films, performing arts, sports and exercise to name but a few). This Slindon Village website, the Forge Shop & Cafe, Slindon’s Round Robin email system for residents are other examples of initiatives we have supported and have helped get under way. If there are things you feel should be being done in the village but are not, then get in touch and we’ll see if we can make it happen. Contact: Mike Imms (Chair) on 814777 or Moira and Tony Richards on 814735. Thanks to all those who have contributed to this website.